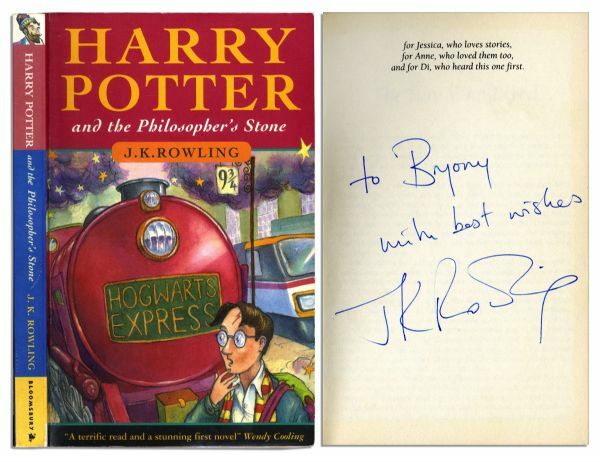 Extremely rare J.K. Rowling signed first edition, first printing of ''Harry Potter and the Philosopher's Stone,'' Bloomsbury: London: 1997. 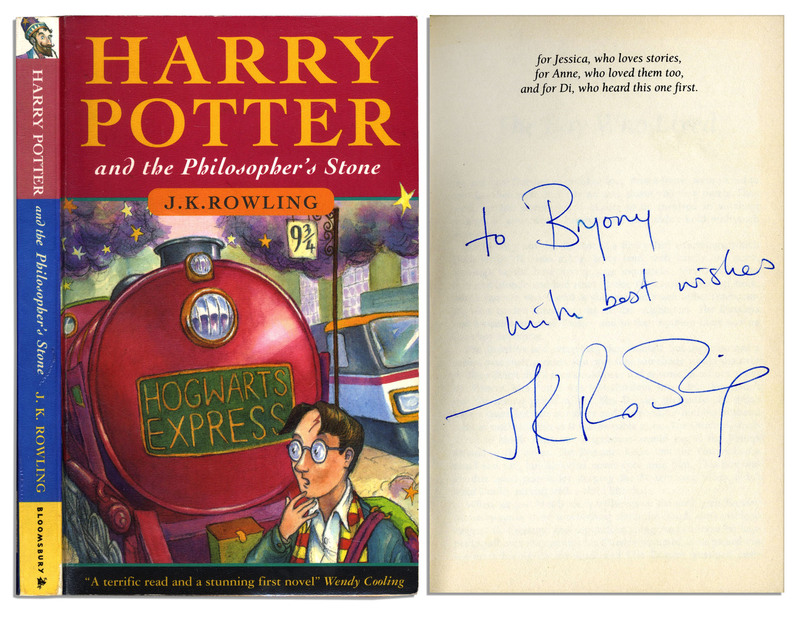 The author signs the dedication page ''To Bryony / with best wishes / JK Rowling''. A true first edition, it features the number line 10 9 8 7 6 5 4 3 2 1 on the copyright page, and the first printing misprint on page 53 of ''1 wand'' listed twice, as well as the Wendy Cooling cover quote: ''A terrific read and a stunning first novel''. Indeed, this first of Rowling's wildly successful Harry Potter book series was published later in the U.S. under the title ''Harry Potter and the Sorcerer's Stone.'' Its film adaption became one of the highest-grossing movies of all time. Issued as a paperback, novel runs 223pp. and measures 5'' x 8''. Toning to leaves and edges. Rubbing to spine edges and creasing to hinges, else near fine. With PSA/DNA COA. Auction closed on Tuesday, December 18, 2012.